Time to learn the Stroud Wassail Song. Stroud Wassail Workshops book now! 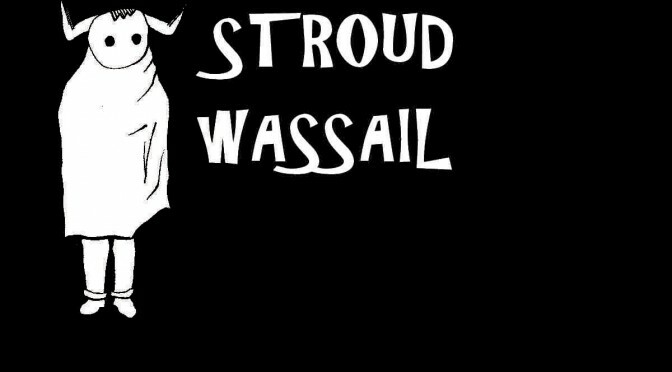 The Programme is announced and this year Stroud Wassail is bigger than ever – A celebration of mid-winter folk traditions. Tickets will be on sale soon for the workshops and the 12th Night Revels. This year the Wassail will also include the International Mummers Festival. The award winning mummers festival is an extraordinary event previously held in Gloucester and Bath. Featuring workshops, symposium and lots of Mumming, bringing participants from across the UK. Previous guest mummers have come from USA, Canada, Ireland and Spain. 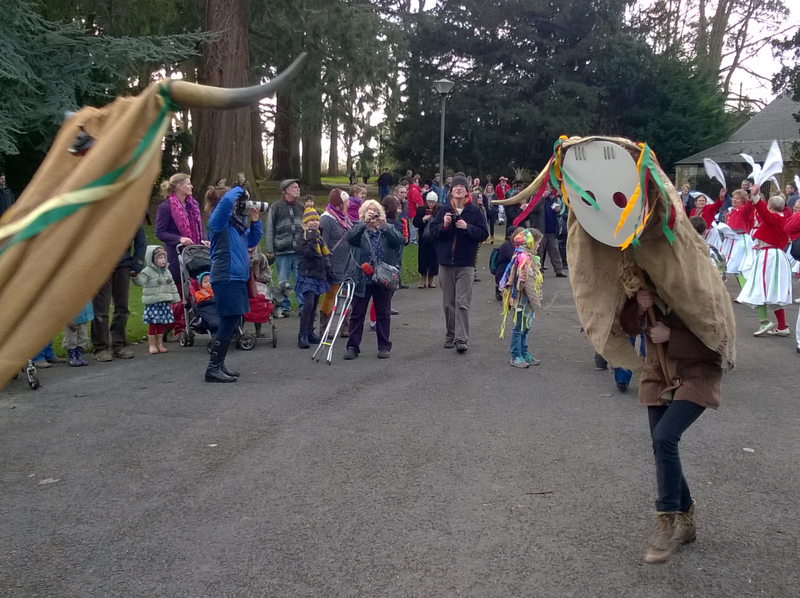 Thank you to everyone who took part in the Stroud Wassail 2015, you made it awesome. Single Gloucester Folk Archive Project. 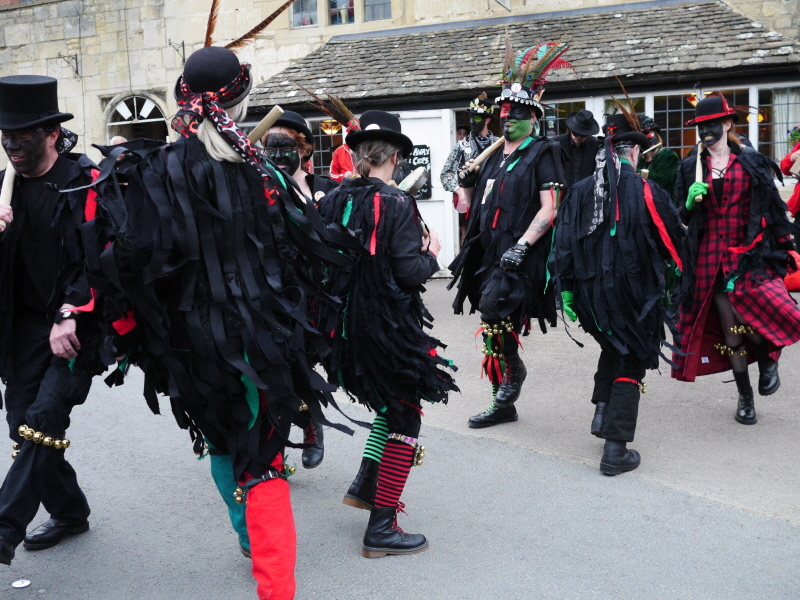 Planning for the Stroud Wassail 2016 starts here. 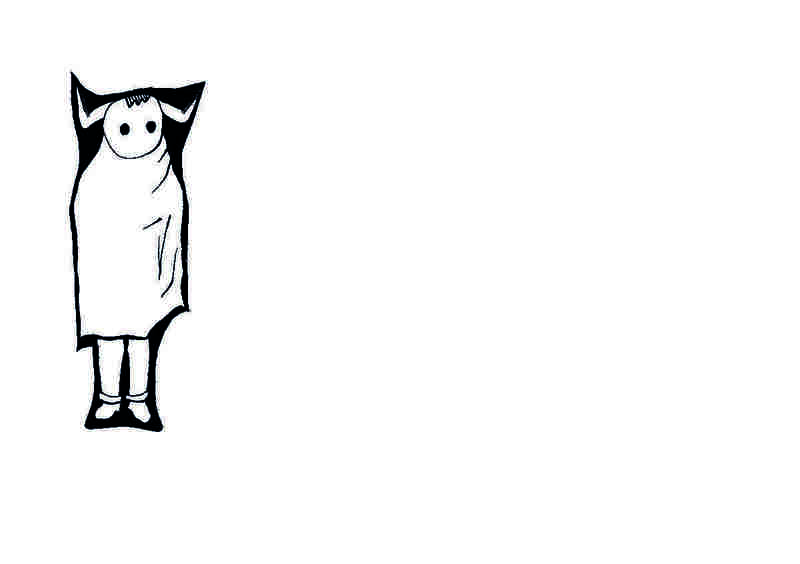 Saturday January 9th 2016 – put it in your diary! A new winter festival to wish you a healthy and prosperous new year. In the darkest days, the town will be brought to life with wassail songs, colourful costumes, music, morris dancing, wassail bowls, hobby horses and The Broad. The origins of wassailing are over 1000 years old, as a toast to wish your companions good health. In the Stroud area this became a tradition of visiting neighbours around 12th night with a wassail bowl and a song, to wish them a prosperous new year. There are many wassail songs from the district, we will sing The Stroud Wassail. Stroud Wassail features The Broad – a kind of hobby horse in the form of a cow. This would accompany the wassailers. There are opportunities for you to learn wassail songs, make costumes and join in the procession, and there will be lots of morris dancing to enjoy. The festival will take place in the streets of Stroud, Subscription Rooms Forecourt and the Museum in the Park.